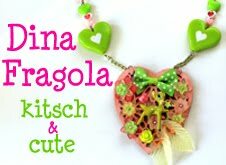 Dina Fragola: Happy birthday kittens! "What do you mean I can't go in the cupboard?" "I can't do nothing. I am bored." Frank, also known as the "jibbitz"
Bob loves napping, it's an art form to him. "You're trying to steal my soul!" WOW! they are so cute!!! Happy birthday to the awesome three!!! Happy Birthday from "tata Anne" to the "trois petits poilus" ! Hi Hi the cute ones... Happy Belated Birthday to you all!! Best wishes! They are so adorable! Great photos! Nat, AAAAAAAAAaawwwwwwwwwwwwwwwwwwwwwwwwwwwwwwwwwwwwww!! The babies are so Cute!!!!!! I am goo goo gaga-ing away when I see them. Orange and White kitties are my absolute favorite!